I’ve said this before and I will say it over and over and over again: If you want the truth about a whiskey, you must drink it blind. Our minds are really good at influencing our perception of what we’re drinking. Take the example of a group of wine critics drinking a glass of $100 wine next to a glass of $10 wine. They couldn’t stop talking about the complexity, aromas, and taste of the expensive wine compared to the cheaper glass only to later learn that it was the same wine in both glasses. Drink a 30 year old single malt or a bottle valued at $10,000 and your mind will elevate the experience no matter how hard you try not to let it influence you. I drank a mystery single malt scotch blind and gave it a respectable 89/100 score only to later find that it was a Glenfarclas Family Cask distilled in 1958. That 89 would have been a 95 if I knew that ahead of time. 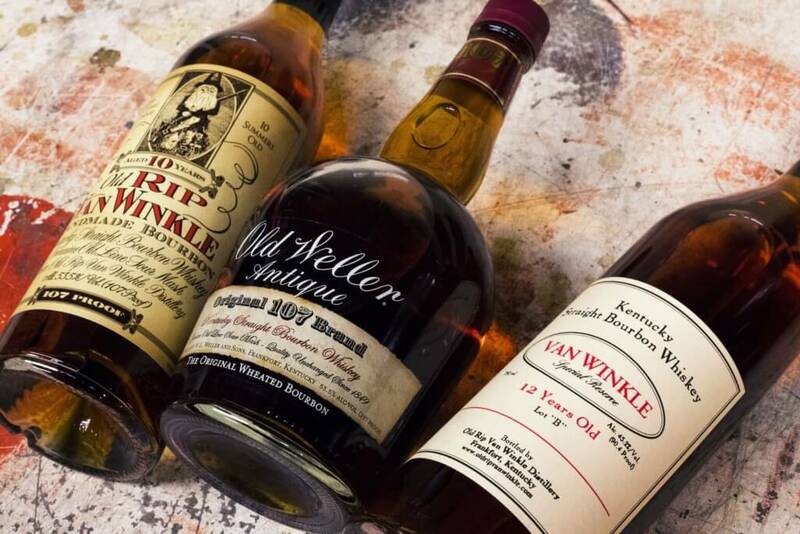 We all know the story and hype behind the Van Winkle brand of bourbons including Pappy Van Winkle, a brand that has seemingly become a household name. Even non-whiskey drinkers have heard of Pappy and know it as the best bourbon out there. Over the years, the source distillery for this brand has shifted initially from the last barrels of Old Boone (Wild Turkey) to wheated whiskey from Stitzel-Weller to the current Buffalo Trace distillate. The bourbon has changed source multiple times but all people seem to care about is the name. A marketing campaign well done to say the least. The two youngest bottlings of the line aren’t Pappy at all. They are completely different brands. Old Rip Van Winkle (ORVW) 10 Year and Van Winkle Special Reserve (Lot B) 12 Year aren’t Pappy yet they’re treated just the same because of that Van Winkle branding. With secondary market inflation, a $50 bottle of bourbon now sells for $400. If someone is spending that much on a bottle (and I’ll never understand why), you better believe that their tasting experience is going to be influenced heavily by their perceived value of what they’re drinking. This bourbon boom has influenced related products as well including value brands like the Weller line. Old Weller Antique 107 is all the rage and Weller 12 Year is nearly impossible to find. There are arguments amongst bourbon enthusiasts that ORVW 10 Year isn’t much better than Old Weller Antique and that Lot B is simply a more expensive Weller 12 Year with a different label. My goal for this experiment was to determine which side of that argument I was on in an unbiased tasting. My tasting partner and I each tried a blind sample of ORVW 10, Lot B, Weller 12 Year, and Old Weller Antique side by side. We had no idea which one was which until the end. The results were fascinating to say the least. Not pictured: Weller 12 Year because the damn bottle is harder to find than Pappy these days. Each 1 oz. sample was randomized and labeled A, B, C, or D.
No final judgment was discussed between the two of us until all whiskies were tasted. To prevent recency bias and to “reset” our palates, none of the four bottles were drank in the 12 months prior to the tasting. Finish Hot but not too hot, sweet, woody, heavy cinnamon, drying. Nose Less “corny” than you’d expect, a softer nose of honeydew melon, some baking spice, fresh mint leaves, fennel. Strange indeed. Taste Wheat influence is definitely here, toasted caramel, vanilla, more of the cantaloupe/melon family, allspice. Finish Some spice, summer fruit salad, soft wood, no heat. Nothing crazy. Overall Thoughts It's less in your face but also not super complex. The nose is really weird compared to the others. Nose MUCH more forward in terms of “classic” bourbon notes. Nice sweetness, warm spice, it's like an entire Edible Arrangement (complete with chocolate and a tasteful card). Taste A really nice blend of vanilla, oak, red fruit, and corn. Very nicely layered too. The vanilla and oak are first, with fruit next underneath, followed by the corn sweetness. Finish I found all the spice! This is the best oak of the bunch so far. Vanilla and hints of berries continue for quite some time. Overall Thoughts Easily the best of the bunch stacked up side by side with the others. Plain and simple, this a good bourbon. Finish Oaky and baking spice-heavy, some heat, heavy vanilla after a bit. Overall Thoughts A really solid offering. It's great but doesn't quite have the same "it" factor as C.
As is often the case with these blind tastings, I didn’t guess a single one right. There was a consensus on a clear “winner” in Lot B and a very clear “loser” of the four in ORVW 10 Year. Really surprising results based on my own expectations going into this. I came close in guessing Lot B/Weller 12 and ORVW 10/OWA because the latter pair was clearly higher proofed and hotter than the two 12 year expressions. For $20-$25, Old Weller Antique is an absolutely tremendous value for the quality you get. As you can see, I clearly liked it better than the 12 year and the “premium” branded ORVW. Well, another great experiment is in the books. Did the results surprise you? Do you agree with my assessment? Was I way off? Let me know in the comments!